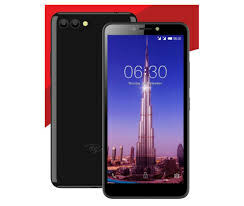 The iTel P13 Plus is literally same as the P13, except the fact that this unit comes with a 1 GB of RAM, instead of the 512 MB of RAM used in the standard version. Adding to the 1 GB of RAM, you’ll get 8 GB internal storage, and the large 4000mAh battery. The display on the iTel P13 Plus is a 5.5-inch FullView display. In the heart, there’s a Quad-core CPU clocked at 1.3GHz, along with Mali-400MP2. Photography is handled by a dual 5 + 5-megapixel at the back, and just 2MP upfront Other specifications of the iTel P13 includes Android 8.1 Oreo (Go edition) FaceID and an expandable storage up to 32GB.